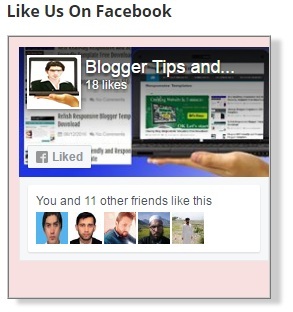 Facebook like box Friends I m bringing for you some special and attractive Facebook Page Widget For Blogger Like Box .Last time i Publish a post some Recent Post widget.Some of my website viewers comment me to make some Facebook Page Widget Like Box For Blogger . 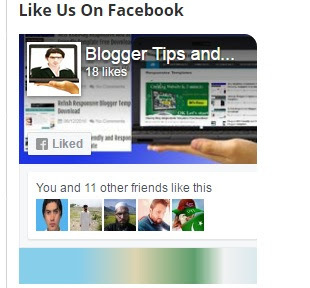 Form here you can get 100 % free. 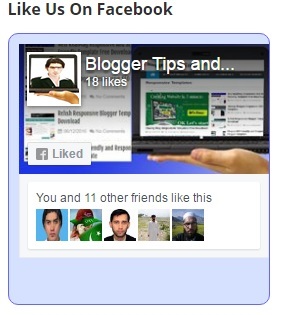 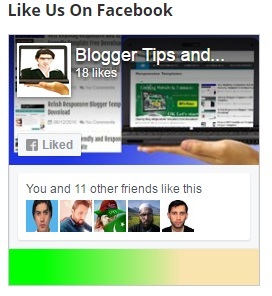 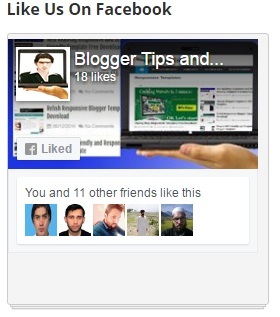 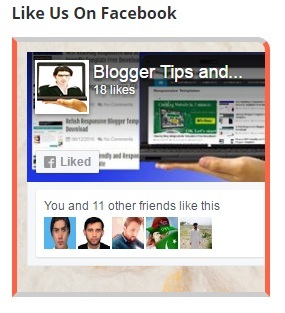 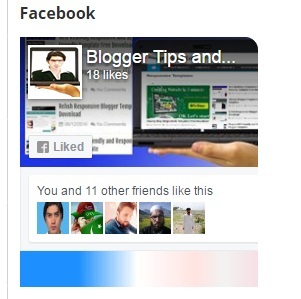 Facebook Page Widget For Blogger Like Box . 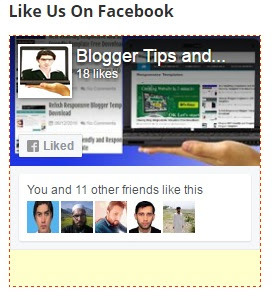 Facebook Page Widget Like Box For Blogger or Facebook like box is very important for your Blog .Because when a visitor want to Like your page then they can do without leaving your site .face book offer you some simple Like Box Plug in .You may easily integrate In to you Blog or website .But the simple face book page widget like box not looking attractive .in this post I am also showing How to Add Facebook page widget Like Box for Blogger using CSS to your Blog.Facebook Like box widget Is one of the bitter way to get a lot fans on face book . 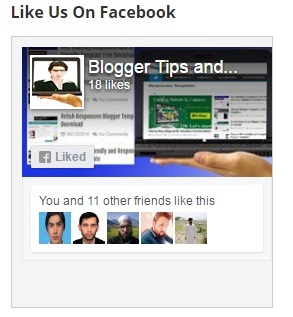 this widget will make more attractive for reader .you don’t need to do any difficult task to add this face book like box. 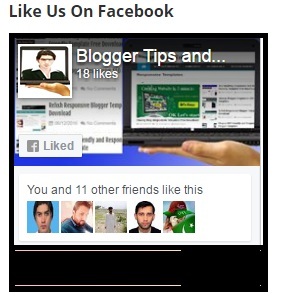 Just copy the code any one of them which is given below and past in you blog widget. 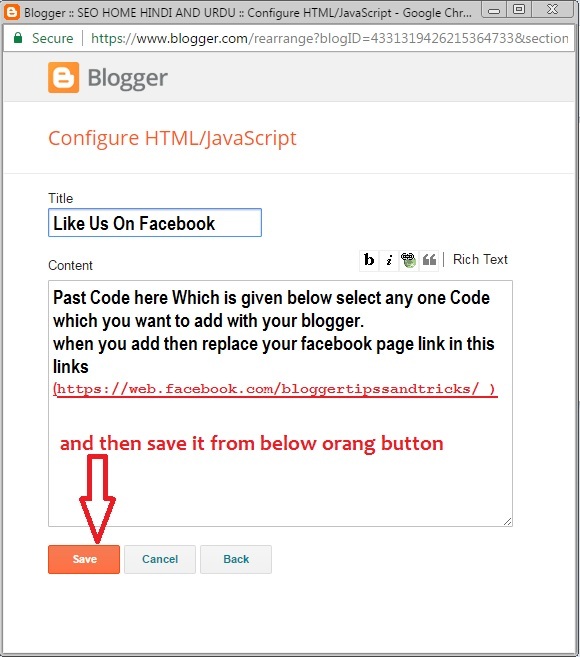 It’s very simple and easy procedure I m also going to show the simple and understand able procedure to add this Facebook page widget like box for blogger. 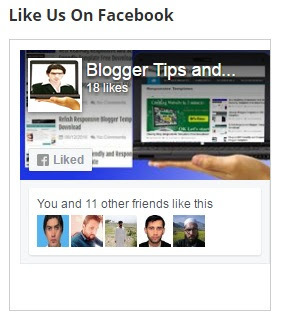 OK let’s start Friends . 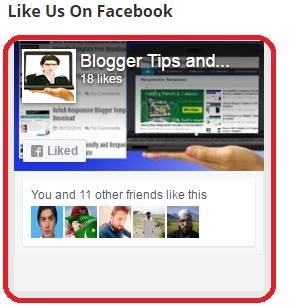 How To Add Custom Facebook Page Widget For Blogger . and ''Content '' here will you paste below code .select any one which you like in given . 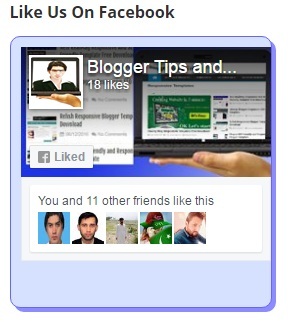 Now you Done it watch it where you add this .your blogger widget will correctly working. 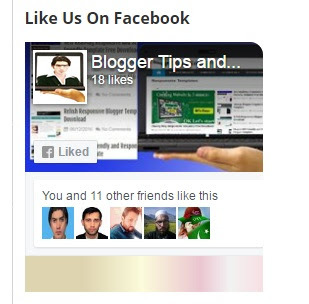 if you can't add then you can taking further helping Go> our Help center and tell us your problem .we will do this for you as soon as soon is possible. 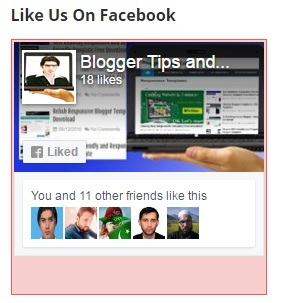 Another Procedure To Add Custom Facebook Page Widget For Blogger With the help of Screen shoot . You might also read these post to make your Blog Full SEO Friendly . 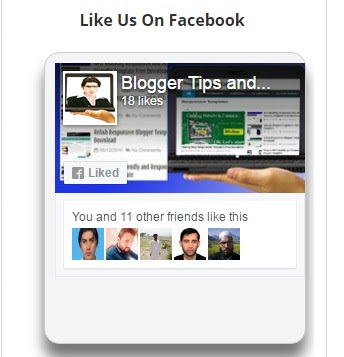 Thank your for adding this Facebook Page Widget For Blogger for more visit or Home page and watch our labels to add more widget to your blogger to make make him attractive and responsive . 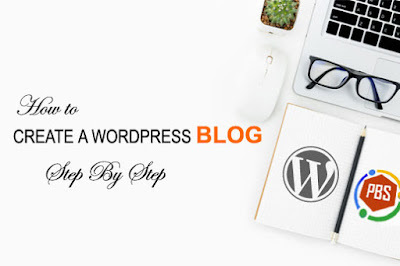 For taking any type help related with Blogger Go > our Help center or click and send us your problem we will solve your problem as soon as soon is possible. 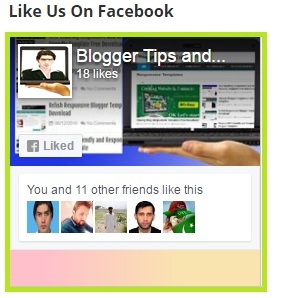 you can also Contact us through many sources click here for contact us . 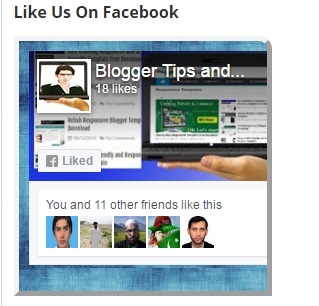 and take care of your self remember us in Your Prayers .